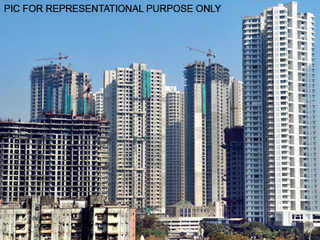 Relief for 64 home buyers of a New Panvel project delayed by three years. The Maharashtra Real Estate Regulatory Authority (MahaRERA) has come to the rescue of home buyers after a New Panvel housing project they invested in got delayed by three years. The real estate regulator has directed Avaj Builders and Developers Pvt Ltd to pay their investors an interest of 10.15 per cent on their total investments from December 2015 till possession as a form of compensation. Two home buyers, Ravikumar Nair and Emmanuel Pattern on behalf of 64 others, had sought reparation for the period of delay under Section 18 of the Real Estate (Regulation & Development) Act (RERA) after the Kalamboli based builders failed to give them possession of the homes in December 2014. During the hearings before MahaRERA member Vijay Satbir Singh, the home buyers said that most of them had paid almost 90 per cent of the total flat cost of their flats but the builder had failed to give possession even after three years and hence they were entitled to be paid an interest on the delayed period till possession. Mayur Shikhare, representing Avaj Builders, blamed the delay on multiple factors including the restrictions on sand extraction, demonetisation, and change in planning authority in Navi Mumbai region. He said that the initial permissions for the project in New Panvel were given by the Collector, Raigad, which was the planning authority in 2011. In January 2013, the Navi Mumbai Airport Influence Notified Area (NAINA) under CIDCO came into existence, and it was made the planning authority. The advocate claimed that this delayed the project. He further claimed that most of the complainants had defaulted on payments of outstanding dues and some had even been given possession of their flats. The developer had sufficient time to apply and obtain required permissions, and there was no sufficient reason to delay the project for such along period, observed Singh. Singh, however, agreed to consider an extended date of possession from December 2014 to December 2015. “Moreover, the payment of interest on the money invested by the home buyers is not the penalty, but a type of compensation for the delay as has been clarified by the Bombay High Court in its judgment on December 6, 2017,” he said. He also directed that the home buyers who had taken possession of their flats were not entitled to the compensation and that the developer was entitled to recover his outstanding dues from the defaulters at the same rate.